The decision of the Bundesgerichtshof (BGH), the Highest Civil Court in Germany, in the Pechstein case was eagerly awaited. At the hearing in March, the Court decided it would pronounce itself on 7 June, and so it did. Let’s cut things short: it is a striking victory for the Court of Arbitration for Sport (CAS) and a bitter (provisory?) ending for Claudia Pechstein. The BGH’s press release is abundantly clear that the German judges endorsed the CAS uncritically on the two main legal questions: validity of forced CAS arbitration and the independence of the CAS. The CAS and ISU are surely right to rejoice and celebrate the ruling in their respective press releases that quickly ensued (here and here). At first glance, this ruling will be comforting the CAS’ jurisdiction for years to come. Claudia Pechstein’s dire financial fate - she faces up to 300 000€ in legal fees – will serve as a powerful repellent for any athlete willing to challenge the CAS. Personally, I have, to put it mildly, mixed feelings regarding this decision. On the one hand, I am relieved that the BGH did not endorse the reasoning used by the Landgericht München in its ruling, challenging the necessity of forced CAS arbitration. But, on the other hand, I am rather disappointed that the BGH failed to endorse the balanced reasoning used by the Oberlandesgericht München in its decision (I translated the relevant parts of the ruling here). I believed this framing of the case would have offered a perfect vantage point to force a democratic reform of the CAS without threatening its existence. For those concerned with a potential flood of appeals, this could easily have been avoided by barring Claudia Pechstein to prevail on the merits of the case (or through preclusion for example). There was room for mild audacity and transnational constitutionalism (as I argued elsewhere), but the BGH opted for conservatism and conformism. I deeply regret it. Though it is always perilous to comment on a case based only on a preliminary press release, I will offer here some (critical and preliminary) thoughts on the main aspects of the BGH’s legal reasoning. Paradoxically (or not), I chose to start with the end of the BGH’s press release discussing the validity of the arbitration agreement. The BGH is also very much drawn to paradoxes in this final paragraph of its press release. In a first sentence it states rather bluntly that Pechstein has freely signed the arbitration agreement in favour of the CAS. Yet, conscious of the absurdity of such a claim (unless one means only that Pechstein was free to decide to become a professional speed-skater), it immediately qualifies its assertion by claiming that in any case the fact that she was forced to sign the agreement does not imply that it is invalid. This is justified on the basis of a balancing exercise (which is not detailed in the press release and will be important to scrutinize in the final judgment) between the athlete’s fundamental right to a judge and her freedom to provide services and the constitutionally protected autonomy of associations (e.g. ISU). This is particularly so, because Claudia Pechstein could appeal a CAS award to the Swiss Federal Tribunal (SFT). Thus, she had access to a national judge and did not necessitate recourse to the German courts. Hidden in this relatively small paragraph, compared to the overall press release, are many controversial statements and assumptions. First, the claim that Claudia Pechstein (and any other international athlete for that matter) freely submits to CAS arbitration is surreal. So unconvincing, that the BGH itself debunks it in the following phrase. What is it then? Free consent or forced consent? You need to choose! In fact, CAS arbitration is always (in appeal cases) forced arbitration. This should be openly acknowledged by the BGH and the SFT. Instead, they are forced into logical convolutions that can only be perceived, in the SFT’s own words, as “illogical”. Second, the balancing exercise conducted by the BGH should be scrutinized. Unfortunately, there is very little information on this balancing in the press release. Yet, one should not accept a restriction on the freedom of an athlete to provide services and on its fundamental right to access national courts, unless a forced CAS arbitration is shown as absolutely necessary to secure the autonomy of the Sports Governing Bodies (SGBs). Moreover, such a weighty restriction on the fundamental rights of an athlete should imply a strict assessment of the quality of the judicial process at the CAS. In light of the BGH’s assessment of the independence of the CAS (see more on this in part II. ), one can doubt that it has taken this balancing exercise seriously. Finally, the claim that access to the SFT could compensate for the loss of Claudia Pechstein’s access to German Courts is ludicrous, or in good German realitätsfremd. Any CAS practitioner knows that the SFT favours (to its credit openly) a “benevolent” approach to the CAS, and that it is extremely reluctant to overturn awards on the basis of procedural or substantial ordre public. Winning an appeal against a CAS award in front of the SFT is a bit like Leicester City winning the Premier League, an oddity. Based on the BGH’s press release, the ruling seems at best vague and unpersuasive and at worse negligent in its assessment of the factual and legal situation. One can well argue that on balance of interests, forced CAS arbitration might be necessary to preserve the existence of international SGBs and their competitions, but this would imply a way stricter assessment of the institutional independence of the CAS, which is entirely lacking in the press release. The core of the press release concerns the independence of the CAS. The BGH considers that the CAS is a true arbitral tribunal in the sense of German civil procedural law and that it is not structurally imbalanced in favour of the SGBs. Therefore, forcing athletes to arbitrate disputes at the CAS does not constitute an abuse of dominant position. In a first paragraph, the BGH sets out to rebut the OLG’s argument that the CAS is structurally imbalanced in favour of the SGBs, i.e. due to the selection process of CAS arbitrators included in the CAS list. In the past, and still nowadays, it is the ICAS, a body constituted of 20 members nominated overwhelmingly by the SGBs, which decides who gets to be on the CAS list. Currently, based on their official CVs available on the CAS’ website, 13 out of 20 ICAS members have direct links with SGBs. Hence, the OLG’s reasonable assumption that the selection process of arbitrators could lead to the perception that the CAS was in a way captured by the SGBs and prone to favour their interests. The BGH’s trick to rebut this finding of the OLG is to merge the interests of the athletes and of the SGBs into a shared objective of fighting against doping. This is, bluntly speaking, ludicrous. It would be like arguing that the independence of the criminal justice is redundant, because both the State and the accused citizen share an interest in public safety and security. This is legal nonsense and is not up to the standards of the BGH. It is easy to discern that beyond an undoubtedly shared concern for the fight against doping, the athlete and the SGB involved in a particular dispute over a failed anti-doping test have radically opposite interests. Consequently, the independence of the CAS is crucial to ensure that the SGBs do not abuse their legitimate regulatory and executive powers in an anti-doping dispute. The BGH, thereafter, argues that the CAS would be necessary to ensure the uniformity and swiftness of sporting justice and that this would be also in the interest of the athletes. I actually share the view of the BGH on this need for a uniform sporting justice embodied by the CAS. Still, the German judges fail to comprehend that this argument can be used only to justify the post-consensual foundations of the CAS, but is toothless to promote laxer standards of independence for the CAS. The need for uniformity and swiftness might call for a single institution having mandatory jurisdiction, but not for this same institution to be captured by the SGBs or to fail to ensure due process guarantees. Here, ironically, the BGH is laying the ground for a strict review: the recognized necessity of forced arbitration calls for an impeccable CAS on the due process side. In the following sections of its reasoning, the BGH argues that any remaining imbalance of the CAS in favour of the SGBs could be remedied via the procedural safety mechanisms included in the CAS code. In the full judgment it probably refers to article S.18 CAS Code providing that arbitrators have to sign “an official declaration undertaking to exercise their functions personally with total objectivity, independence and impartiality, and in conformity with the provisions of this Code” and to article R.33 CAS Code stating that “[e]very arbitrator shall be and remain impartial and independent of the parties and shall immediately disclose any circumstances which may affect her/his independence with respect to any of the parties.” Based on article R.34 CAS Code, any challenge of an arbitrator on the basis of the latter provision must be submitted to the ICAS Board composed of six members, five of which are or have been in the past involved in executive positions in SGBs. In these conditions, it should be obvious that challenging the independence of an arbitrator vis-à-vis the SGBs is extremely unattractive for an athlete, even more so when considering that in case of failure there is a risk of alienating the arbitrator in question. This is why the CAS’s independence issue is systemic and cannot be solved without re-designing the selection process and composition of the ICAS. Furthermore, the BGH also argues that both parties can chose an arbitrator and that both arbitrators will then designate the President of the panel. This is plainly wrong. In appeal cases, concerning almost all the anti-doping cases and which was the procedure followed in the Pechstein case, it is the President of the appeal division that designates the President of the panel. The president of the division is also the one in charge of ensuring “that the arbitrators comply with the requirements of Article R33”. This person is directly nominated by ICAS and it suffices to remind that the previous holder of this position was (until 2013) Thomas Bach (now IOC President, then IOC Executive Board member), to demonstrate how doubtful its independence from the SGBs was and still is. It is difficult to understand how such a basic mistake has found its way into a BGH press release. Even the official CAS Code Commentary by the CAS Secretary General openly justifies this exclusive prerogative of the President of the appeal division by stating that she “can better evaluate if it is preferable to appoint an experienced arbitrator in order to act as chairman of the Panel or a less experienced CAS arbitrator, who is not widely known to the parties but who would have the necessary background to rule on a particular case”. The dilettante manner in which the BGH has conducted its assessment of the CAS’ independence contrasts strongly with the OLG’s thorough discussion of the problematic role of the ICAS and of the president of the appeal division. Finally, and this is a point already touched upon in the first part of this blog, the BGH insists that the losing party has the possibility to appeal to the SFT, which can annul the award. The problem is, again, that the SFT is a mere paper tiger. Yes, it intervened (mildly) in the famous Gundel case in 1993, because back then the IOC was directly and openly controlling the CAS, but since then it has adopted a very narrow interpretation of the scope for challenges of the independence of CAS arbitrators. Generally, the SFT considers the CAS as a necessary evil that should be (very) benevolently checked. This is hardly a credible avenue to ensure that its decisions abide by the democratic standards called for on the basis of its mandatory global jurisdictions. “Qu'il y ait un certain illogisme, en théorie, à traiter de manière différente la convention d'arbitrage et la renonciation conventionnelle au recours, sous les rapports de la forme et du consentement, est sans doute vrai.” BGE 133 III 235, at 245. 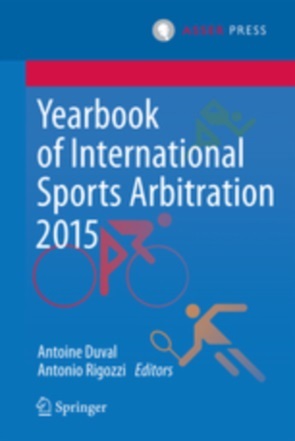 See on this difficulty A. Rigozzi, Challenging Awards of the Court of Arbitration for Sport, J Int. Disp. Settlement (2010) 1 (1): 217-265. See generally A. Duval & B. van Rompuy, The Compatibility of Forced CAS Arbitration with EU Competition Law: Pechstein Reloaded. Available at SSRN: http://ssrn.com/abstract=2621983. Die unterliegende Partei hat die Möglichkeit, bei dem zuständigen schweizerischen Bundesgericht um staatlichen Rechtsschutz nachzusuchen. Das schweizerische Bundesgericht kann den Schiedsspruch des CAS in bestimmtem Umfang überprüfen und gegebenenfalls aufheben. Here I implicitly refer to the pathbreaking democratic theory for international courts developped in A. Von Bogdandy & I. Venzke, In Whose Name? 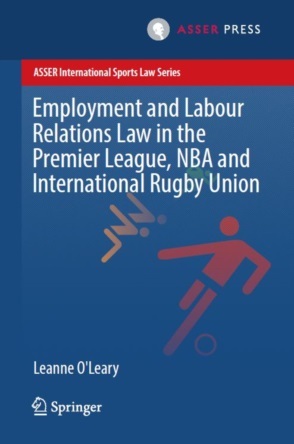 A Public Law Theory of International Adjudication, Oxford University Press, 2014. The Pechstein ruling of the Oberlandesgericht München - Time for a new reform of CAS? CAS arbitration, whether forced or otherwise, is the only solution to finding quick and, by and large, uniform resolution of doping cases. If CAS arbitrators could be biased in favour of IOC and International Federations, as had been argued through these past months, which country can get absolute neutrality in the appointment of judges? And who will decide which country's courts can rule on doping matters. Should it be only courts in Germany? Just as Germany could be having their own laws other countries could also be having their own laws.Why not those in India and Ghana when their athletes are involved? In India civil court procedures may take up to 20 years. Can doping cases wait that long? Until a clear-cut option is not available, let CAS continue to do the job it has been doing for several years. Reforms can of course come in. And they keep coming in, too. I think you're missing the point. I am strongly in favour of mandatory CAS jurisdiction (see here for example link.springer.com/.../s40318-016-0089-9), but I believe this should come with strings attached (e.g. CAS independence/fair process/easy access for athletes), which are not provided for in the present CAS structure (in this blog I focus only on CAS independence). This is not about the re-nationalization of anti-doping disputes. As argued in the blog, Pechstein (and other athletes) could have been blocked from re-litigating them through the use for example of preclusion. The BGH's blind endorsement of the CAS is akin to a blanket check and I doubt that is the right way to proceed to achieve a much-needed democratization (based on general principles shared by many constitutional orders in the world: independence, transparency, access) of the CAS. As I said reforms are always welcome. But the question is should German courts have the right to re-open cases disposed of by CAS? Or else question the neutrality of CAS arbitrators?Or else suggest (virtually order) restructuring of CAS? If that could be allowed then several courts in several other countries could be ruling on a variety of cases based on the laws of those countries and suggest further reforms in CAS. I view BGH's endorsement of CAS as a welcome step even as I would agree with the points you have raised regarding reforms in CAS. The question "why should athletes be forced to go to CAS at considerable expenses?" had also come up in Indian courts in the past. Should Governments be funding athletes? Or should it be done by National Federations? In both instances won't it look like the "prosecutors" themselves paying for the defence lawyers? You see, we're getting closer ;). The only thing is I believe the 'reforms' of the CAS since 2009 have been rather cosmetic and that to drive a real reform you need an external pressure (as the SFT did in the Gundel case). The BGH had the opportunity to exercise that pressure. Moreover, to do so, it didn't have to re-open the case as you think it would. Instead, it needed only to reject Claudia Pechstein's claims on other grounds. Finally, CAS must be checked, if not by the Swiss Federal Tribunal, then by other national courts. The most important thing is that they understand that CAS is necessary and that this check should be only (or mainly) on procedural matters.